Click Here to Listen to A FREE Personal Development Book! Finally! A book written for anybody to understand. Whether you are beginning a journey to enlightment for the first time, or whether you have read hundred of Spirituality books. This is a MUST for everybody!! Written by a true Master!!! BEST BOOK EVER!!! Enjoyed every single word. Thank you!!!! If you have not got your copy of “The Master’s Sacred Knowledge” yet, you can get your INSTANT DOWNLOAD EBOOK HERE or order your PAPERBACK COPY HERE today! This EBOOK can be downloaded and read on any type of ebook readers, including on your kindle book reader, and if you don’t have any ebook readers, then you can download them here for FREE. For a Personal Computer link for Windows 7, Vista and XP CLICK HERE! The Master’s Sacred Knowledge will change your life ONLY if you are ready, and Open Minded. SELF DISCOVERY IS KEY to YOUR FUTURE. Personal Development becomes fun once you start! 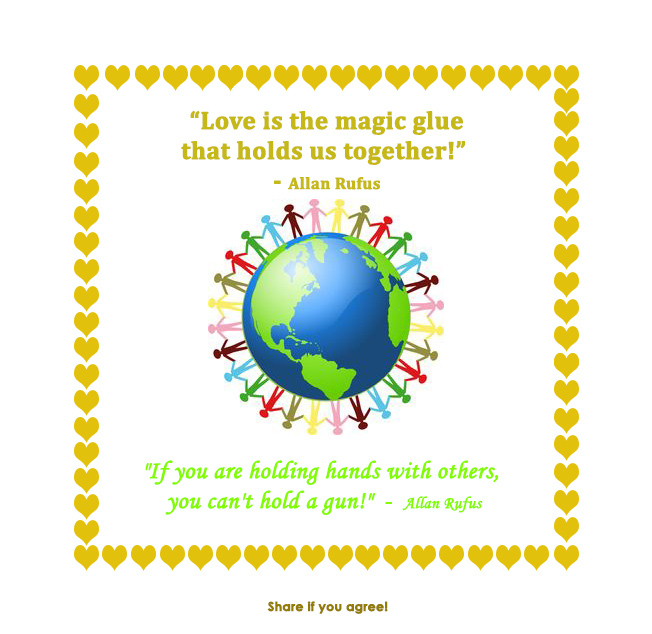 Love is the magic glue! 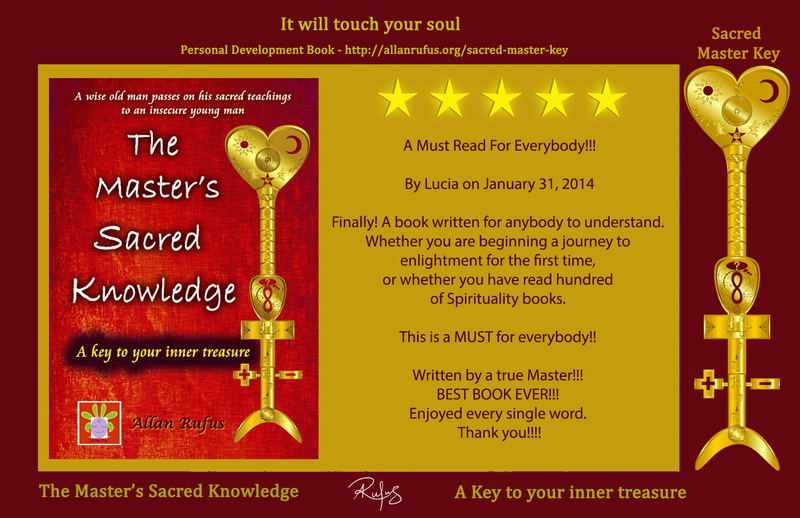 The Master’s Sacred Knowledge – A Book That Gives You Keys To Find Your Inner Treasure! This is a small part of my story, and it may help you or people you know in some way! Why did I write this book and then turn it into a FREE audio book? Many unhappy people came into my life at different times in my life, even if it was for a small moment in time, and after spending some time with them and speaking with them, many told me afterwards that I had just saved their lives, as they were about to commit suicide. I had gone through a very rough and dark time in my life, and I found a way to get over it and what I had to say helped these people find a way through their rough and dark time. So I wrote this book and turned it into a FREE audio book to reach others whom I would never ever meet, but who could benefit from these words. It has been written with the intent to help people who are seeking information, tools, techniques or teachings to uplift and change their lives. Some people simply cannot afford to buy books or pay someone for tools and techniques that can help them look at life a different way, or re-frame their lives. I have been blessed with people coming into my life and helping me when I needed help, and this is a way I can give back to society. 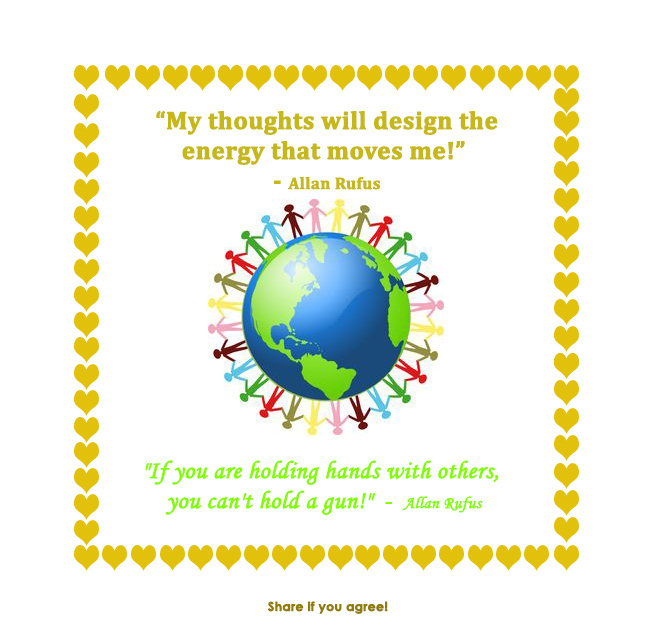 Many people are scared and fearful at what is happening around them, and in the world in general, and the never ending negative and destructive thought patterns are not helping the situation. This book has been written to bring awareness to this, and helps with a step-by-step process to change ones thoughts, actions and deeds and start taking the journey into the heart centre. Yes, this is not an easy journey, however it is one we will all need to take some-time in our life, and is definitely well worth the effort and time, as this will not only change one’s life, but will start to change the energy vibration pattern to a more loving and peaceful society. I also went through a very dark and negative as well as a suicidal period in my teenage years, so I know first hand what others may feel and experience. I also grew up in a country that was at war and I saw lots of death and destruction around me, and I experienced great loss and continual upheaval in my childhood until I was 23. Since then I have been on a journey of Self Discovery and Self Improvement to make sense of this life I am currently living! How did I help myself? How did I change my life around? How did I make my life worth living? How did I really start to enjoy my life? When I was driving my car home one day, during my dark days, this came to me, and I have been living with this motto every-day since. How will this audio book help you specifically? It will take you on a journey to re-discover yourself, and to re-awaken parts of yourself that have been hidden and which are hibernating in your unconscious mind, it will help you identify the patterns coming from the subconscious mind and it will also inspire you to look at life from an internal view. It will help you watch your own thought patterns, actions and deeds. It is only when we become aware of something that we can change it. This is what this book does, it bring awareness to self, and helps you on a step-by-step journey from where you are now, to where we want to be, the realm of Unconditional Love (Love is who we actually are, but have been lead away from our core soul self). The book is divided into 3 sections; Art of Living, the Art of Living in the Now and the Art of Dying. This book is full of philosophy moulded into a story. It is simply written and well read, and is easy to understand. In-fact it is so simple, that it is easy to brush off the teachings, but once one takes each bit in bite size chunks and starts to digest the meaning behind the words, that’s when the magic will start to happen in your life and things start to flourish. How will this book help you specifically? Imagine you have all these jigsaw puzzle pieces inside you and you are building your picture/creating your life’s circumstances, but you don’t like the picture you are building or experiencing, and you want to create another picture, but don’t know how or where to start. This book will give you the corner piece to build your loving, beautiful and colourful picture story from. This book will change your life if you are looking for some type of change and meaning in your life, as it all starts with you. Will it make a difference in your life? A person can be lead to knowledge but what they do with it is up to them, and them alone. As the Great Ascended Master Kuthumi says “If you always do what you always did, you will always get what you always got!” So here I offer a FREE Personal Development Audio Book to you, and what you do with it is up to you, and whatever your choose is all good! I am a being who has experienced quite a lot in my life, the not so good, being born and growing up in a country at war and seeing all the horror that comes with that, and leaving behind all that was my life one day when my family had to leave my country of birth, taking only what we could put in a car, and then the good where I have been travelling around the world for 23 years learning, experiencing life and meeting amazing people who have taught me things that have changed and shaped my life. I am and have been living the yin yang in life. I now realize I had to go through the dark to appreciate the light, go from sadness and sorrow to appreciate love and life. All these experiences, the things I have done as well as all the people I have met on my journey have become a great teacher to me and has played a major role in my life, and made me into the loving, peaceful and grateful person I am today. I really enjoy life and travelling around our beautiful world meeting compassionate, inspiring and soulful people and I hope that this book will inspire you to do the same. WHAT OTHERS ARE SAYING ABOUT THIS BOOK! “THE MASTERS SACRED KNOWLEDGE – is a very rare book that deals with the positive hidden elements in a person. Today we are all surrounded by worries, trouble & negative forces. This is a book that gives us an insight to counter these forces that tend to slow down /destroy our development in this fast changing world. I would recommend this book to all who want to excel in life & face this world very bravely. This is a book MUST for all those who have lost all hope in life. “SPEECHLESS!!!! Most amazing book ever!!! Thank you friends. I look forward to reading your comments, and inspiring stories. May the angels shower you with tons of love, joy and great abundance. Blessing of love, light, joy and peace from me to you! If you would like to support me, you can do so buy purchasing the book The Master’s Sacred Knowledge Ebook or Paperback . The Master’s Sacred Knowledge – 5 star book review! Enlightenment – The Art of Letting Go! Click Here to Listen to A FREE Personal Development Book! 🙂 Click here to learn more!